Old enemies are vanquished. New heroes emerge. But evil lurks in the shadows, refusing to be forgotten. Sir Torsten Unger must deal with the aftermath of Redstar and the Drav Cra’s failed occupation of Yarrington. But with so much power up for grabs, new rivals begin to show their faces from the darker corners of the city. Desperate to find Sora, Whitney Fierstown joins a traveling troupe of entertainers in order to secure safe passage to Yaolin, where he believes he can find her. What seems like a simple journey turns complicated, however, when Whitney finds himself growing too close to his new companions and must choose between saving them from certain death, or continuing on his own. In the south, an unlikely warrior rises up to fight in the name of her father, Muskigo Ayerabi. It will take everything she has to prove that the time of the Shesaitju resurgence has come, as he once taught her it would. 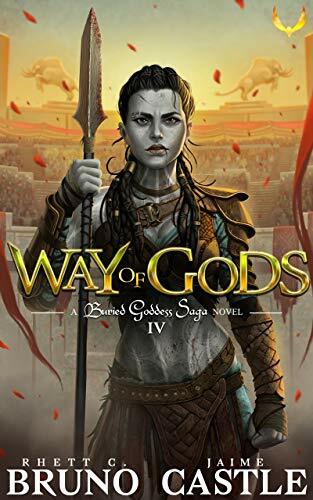 Way of Gods will be available on Audible this summer, performed by the Award-Winning Luke Daniels just like the rest of the series.